"The last time we had lunch with Leslie she said, 'Give me a big hug and a kiss. This may be the last time you will see me.' She drove away that day, waving as we stood in sorrow. Soon after, she entered into hospice." LESLIE M. TWOHIG PASSED AWAY ON APRIL 2, 2011 AFTER SUCCUMBING TO INFLAMMATORY TRIPLE NEGATIVE BREAST CANCER THAT METASTASIZED TO HER BONES. SHE LEFT BEHIND TWO SONS, TWO NEW GRANDDAUGHTERS, AND A DEVOTED HUSBAND. LESLIE’S WEEK, A STAGE 4 METASTATIC BREAST CANCER NONPROFIT, BEGAN ON APRIL 3, 2011 IN HONOR OF LESLIE'S LIFE AND MEMORY. HER GALLANT DETERMINATION TO SMILE THROUGH HER INCREDIBLE PAIN AND ENJOY LIFE DESPITE A TERMINAL DIAGNOSIS IS THE INSPIRATION BEHIND OUR LESLIE’S WEEK MISSION TO BRING FUN AND HAPPINESS TO WOMEN WHO HAVE HEARD THE WORDS "YOU HAVE STAGE 4 METASTATIC BREAST CANCER". We all know Leslie. She is our mother, sister, aunt, daughter, and friend. We all have her in our lives. W H O ' S Y O U R L E S L I E ? We began with one family in 2011 - 2014. In 2015 LESLIE'S WEEK gifted 5 vacations away from cancer, in 2016 16 vacations, in 2017 23 vacations. During these years LESLIE'S WEEK gifted vacations to more than 53 Stage 4 Breast Cancer women and their families, or to more than 265+ individuals. Each year we host more families than the year before thanks to our generous partners and donors. 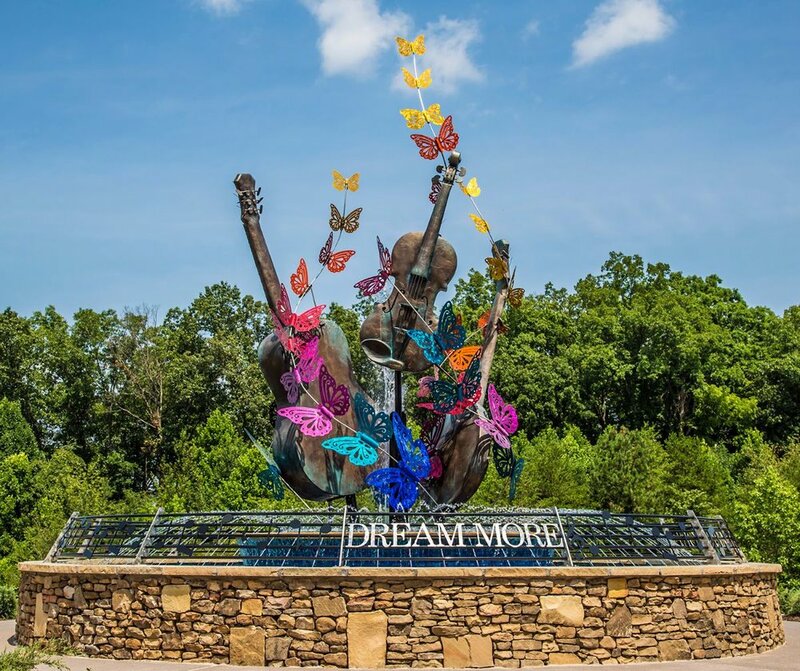 In 2018 LESLIE'S WEEK hosted 35 Stage 4 Breast Cancer women and their families, or 184 individuals, at the famous Dollywood DreamMore Resort in the Tennessee Smoky Mountains. We checked-in on August 5 and checked-out on August 11. Our families Create Memories that Outlast Cancer in a celebration of life! We commit to our Stage 4 Breast Cancer women that their children will have a FUTURE. LESLIE'S Educational Assistance Fund, called LESLIE'S KIDS, offers grants to each child for their higher education. The grants are in the mother's name so the children will always know she educated them. 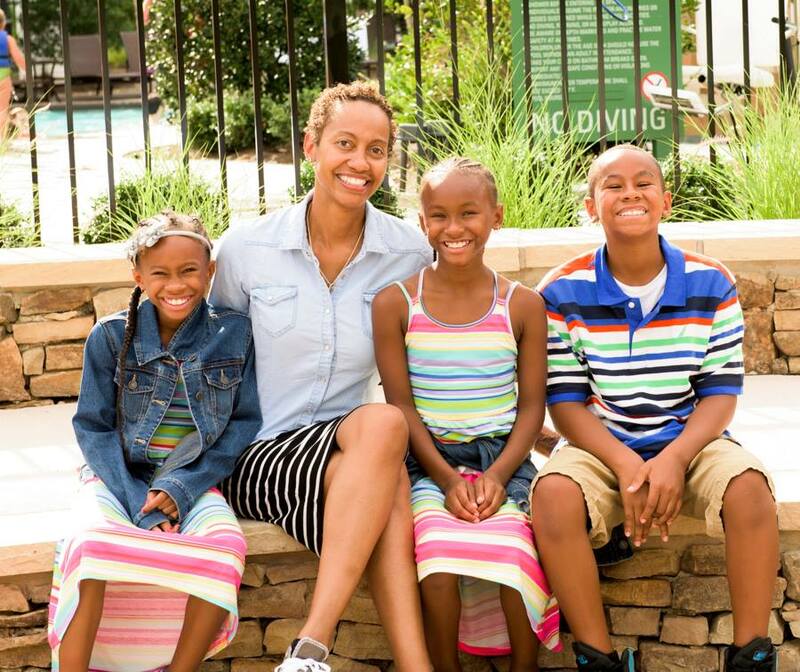 We are about the NOW for our Stage 4 Breast Cancer women and about the FUTURE for her children.